More than 100 representatives from State agencies and embassies of European Union (EU) member states in Vietnam, foreign experts and religious dignitaries gathered at a seminar in Hanoi on October 8 to discuss policies and laws ensuring belief and religious freedom in Vietnam. Their discussions focus on the preservation of religious freedom and the reality in Vietnam , and contributions of religions to the national construction. The seminar aims to provide a panorama on the religious situation in Vietnam as well as a roadmap to improve policies and laws related to religion and belief, thus improving human rights. It showed Vietnam’s willingness to dialogue with the EU on religious issues, thus strengthening mutual understanding in the field. Participants also talked Vietnam’s achievements in fostering and ensuring religious and belief freedom, the building of its legal framework on this field, and its international commitments to protecting and promoting human rights in terms of religious freedom. The EU members’ experience in religious affairs and their efforts to protect religious freedom and values were also shared. 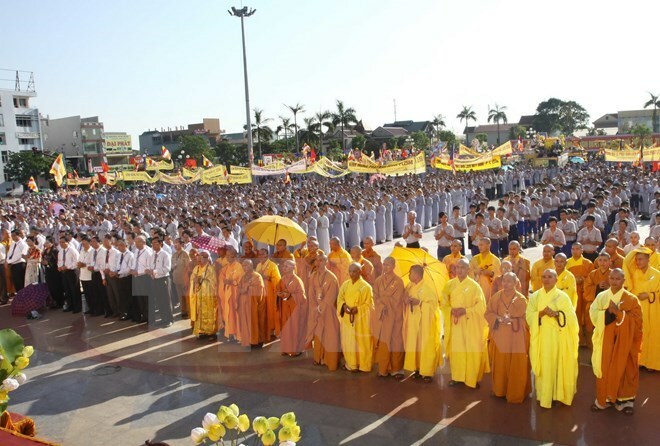 According to Bui Thanh Ha, Deputy Head of the Government Committee for Religious Affairs, Vietnam is a multi-religion nation with 24 million religious followers, accounting for 27 percent of its population. Approximately 95 percent of Vietnamese population follow a belief or religion. He underscored that Vietnam always respects and protects the people’s right to belief and religion freedom through designing more completed policies and laws on the matter. Shortly after the country declared independence, on September 3, 1945, President Ho Chi Minh announced that religious freedom, solidarity among religious and non-religious people and citizens’ right in the field are among the State’s principles, noted Ha. The 2013 Constitution also clarified that the right to religious and belief freedom is one of the basic rights of human beings, which has been institionalised in legal documents and included in the draft Law on Belief and Religion. Meanwhile, Juan Zaratiegui, Political Advisor of the EU Delegation to Vietnam, said the union takes the protection of the right to religious freedom for all as one of the indispensable part in its external policies.